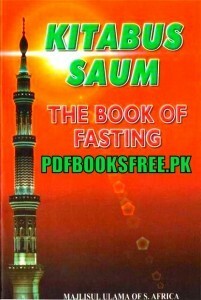 Kitabus Saum The Book of Fasting. Compiled by Majlis-e-Ulama of South Africa. Siyam (Fasting) is among the fundamental acts of Ibadat. It has been ordained by Allah Ta’ala for the development of taqwa (piety) in the Mu’mineen. Fasting is extremely efficacious for the acquisition of taqwa. A Muslim cannot acquire Divine Proximity without taqwa. Without taqwa, the Muslim must necessarily drift far off the straight Path (Seeratul Mustaqeem) which leads to Allah Ta’ala and everlasting success in the Akhirah. One who denies the fardhiyat (obligation) of Saum, no longer remains a Muslim and the one who does not fast during the month of Ramadhan is a Fassiq (an immoral and flagrant transgressor) of the highest order. Such a Fassiq totally destroys his spirituality and morality and exposes his Imaan to the gravest onslaughts of kufr. There are numerous benefits, both spiritual and physical, of fasting. The prime benefit in the pursuit of taqwa is the suppression of the inordinate desires and demands of nafs-e-ammarah (man’s base carnal propensity). The nafs is perpetually in collusion with shaitan. to spiritually and morally ruin the Mu’min. If the nafs is allowed unrestrained freedom, it will succeed to make man the slave of passion, lust and base emotions. His Imaan will suffer. The Noor of his Imaan will be extinguished. It is, therefore, essential that the nafs is put in fetters. Fasting greatly aids in this direction. By fasting, the Muslim learns to restrain his lowly desires. The nafs is not allowed free expression. The nafs becomes accustomed to submit to the Shariah’s restrictions. Carnal desires are weakened and the ability of inculcating taqwa is created. Fasting produces purity in the Rooh (soul). For such purity to come into the rooh, spiritual authorities (the Auliya) say, there is nothing that has greater efficacy than fasting. While Fasting results in even physical health, it creates a feeling of palpable spiritual purity in the Mu’min. The Door of Roohaniyat (the spiritual domain) is opened up by fasting. Fasting creates pleasure in Ibadat. It also makes the heart more conducive for Ibadat. The bond with Allah Ta’ala is strengthened and the Mu’min acquires a greater awareness of his spiritual and moral goals for which he has been created. 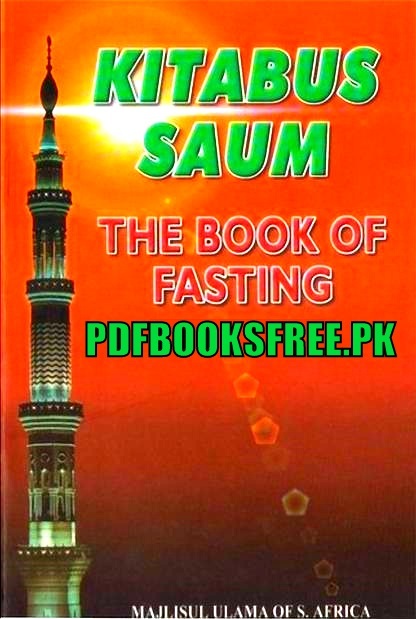 Visit the below mentioned link to read online and also download Kitabus Saum the book of Fasting in Pdf format for offline reading.